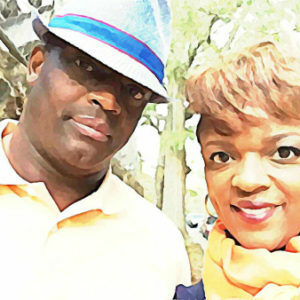 When your child is called the N-word what is the “right” way to handle it? My heart is heavy. I never wanted to rush to social media with this but I feel I’m left with no choice. I tried to be discreet. 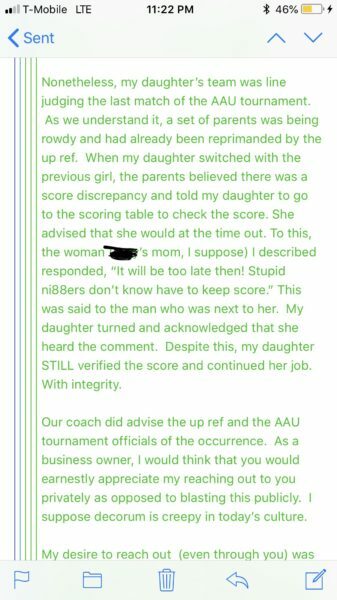 In short, one of my daughters contacted me from a travel volleyball tournament and told me that, as she was line judging, a parent called her team “stupid N—gers” while talking to another parent. 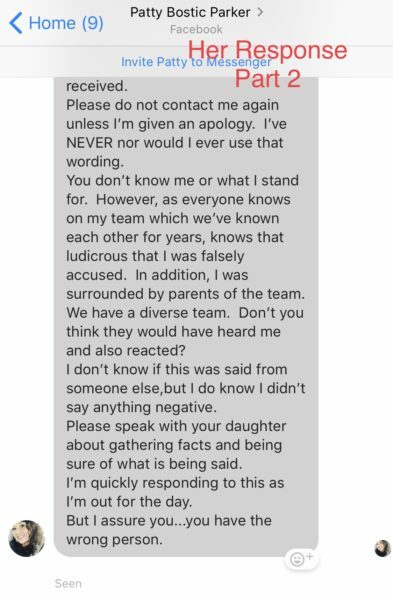 She was upset because she thought my daughter’s team, who was keeping the books had made an error. 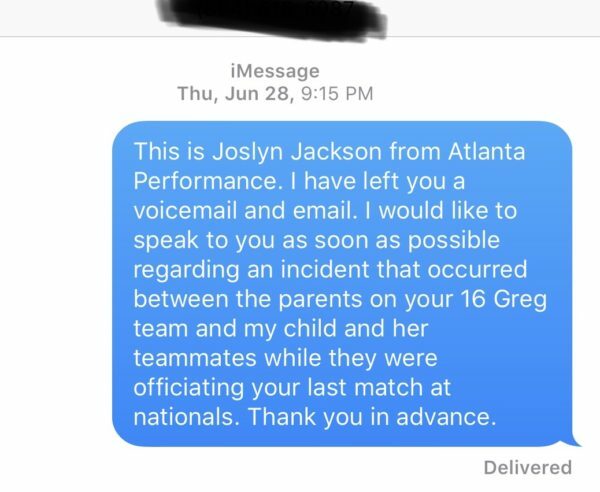 As soon as it was over, my daughter reported what she heard to her coach and her team. She didn’t want to make a spectacle in the moment the comment was made. Obviously, the girls were upset once it was reported. 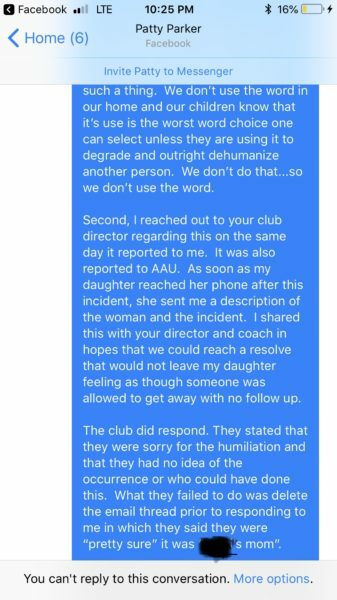 A few of them confronted the woman and I am told my daughter’s coach reported it to the tournament directors. It was the last match for the woman’s team and they were leaving to head back to South Carolina. 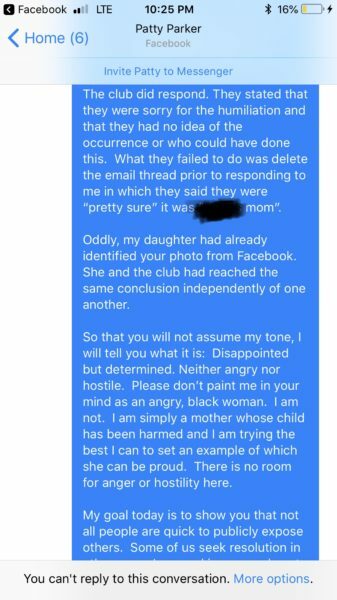 I immediately contacted the club the woman’s daughter plays for and asked to be put in contact with her. 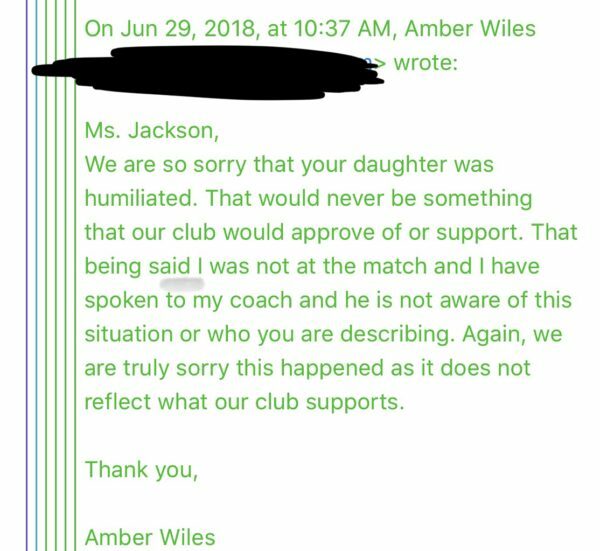 Surely she needed to be given the opportunity to apologize to the children (they are an all black team of 15 and 16 year olds). I remembered my daughter telling me, “Mommy, I will never ever forget her face”. I have my own set of faces etched in MY mind. I don’t know many people who look like me who don’t. 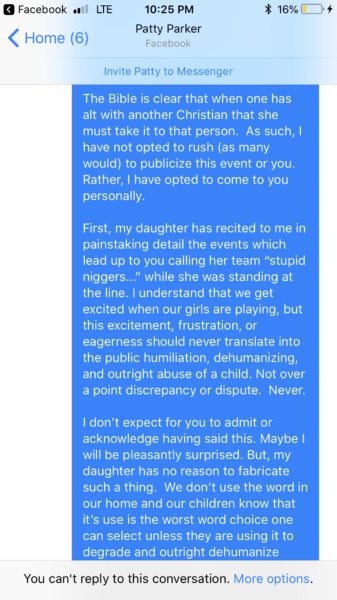 Still taking the high road, I responded. 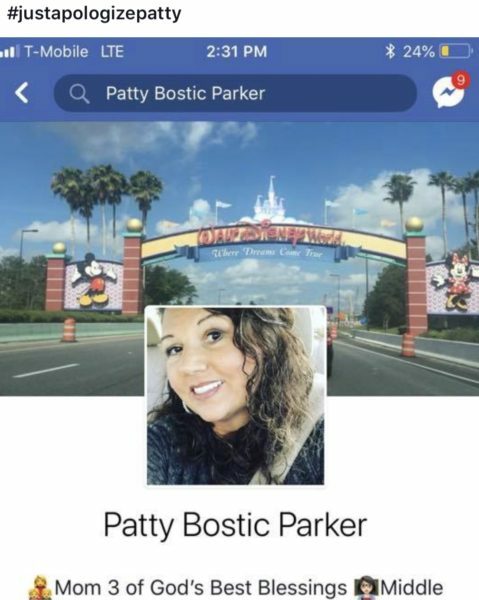 Using the ID confirmation, I contacted the woman, who projected as a Christian on her profile. 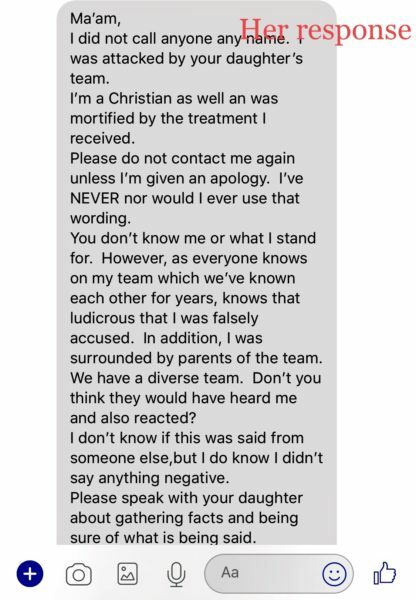 I approached as a Christian in hopes that she would take accountability and we could move on without my daughter being forced into a public ordeal. 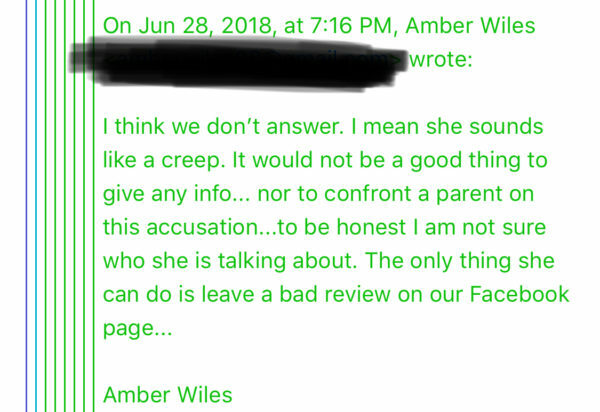 In response to my note, she essentially called my daughter a liar, demanded an apology, and blocked me from further corresponding with her. Obviously something happened that day and she was there. 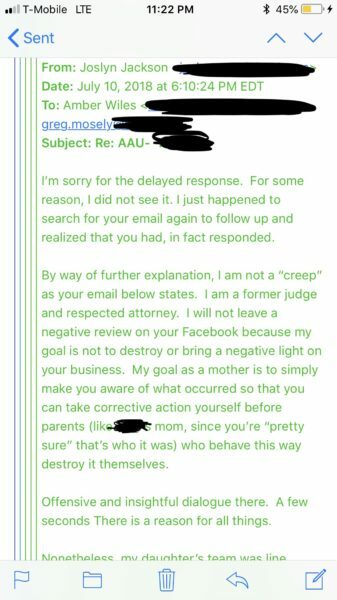 Now I understand she is supposed to be planning on suing ME after I posted her profile picture with the hashtag #justapologizepatty without any details of what she’d done to my child. This. This is why people go straight to social media with injustices. So they won’t be made to feel like I feel now. Slapped in the face again and further victimized. Would I approach this the same way the next time? Absolutely. We have to show our children that there is still hope and confronting harmful ideologies intimately and directly with our dignity intact. However, I will also show my children that I will stand up for them publicly when necessary because they deserve it. Every child deserves it. 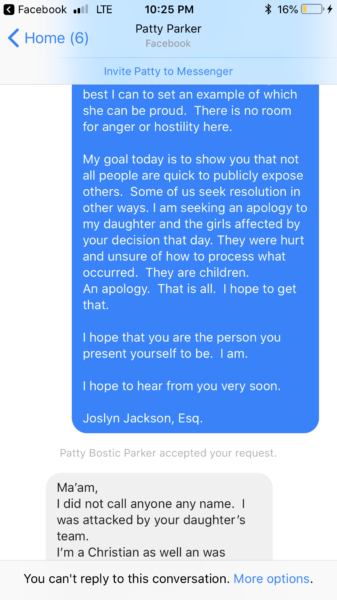 Why is this woman more deserving of an apology than those children? She is not. BE RESPECTFUL and BE RESPECTED. FORGIVE. MOVE ON. LOVE MORE . I FORGOT TO ADD THIS ORIGINALLY!!! I’m Joslyn Jackson. This is my blog. I love my children. I believe that there are still good people in this world. 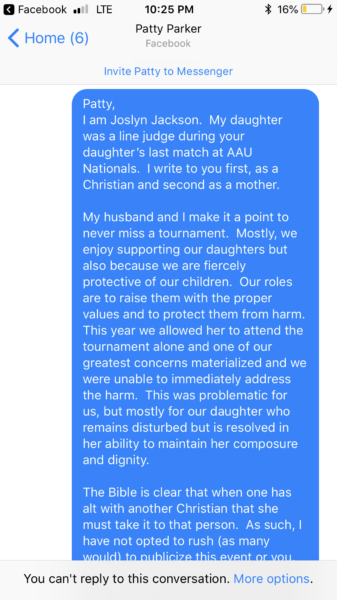 I also know that there are people who are not good and I will ALWAYS defend my children when they are right. This guy is my husband and he is father, spider-killer, boyfriend scarer and football coach. I am also a lawyer who loves to write about the absolute insanity that is my life. I started this blog to embarrass my children. That is my number one goal. If you are entertained in the meantime…great. Undercover racism has to stop and it won’t until we address it systematically and intelligently. We have to show our children the RIGHT way. 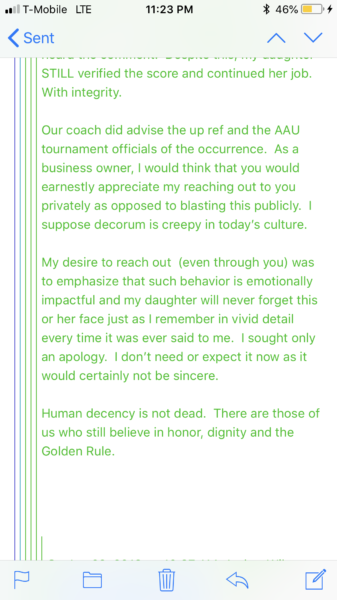 Not all hatred is bold and brazen. It is possible for White people to have Black friends and be racists: Thomas Jefferson had Black children and a plantation full of slaves. 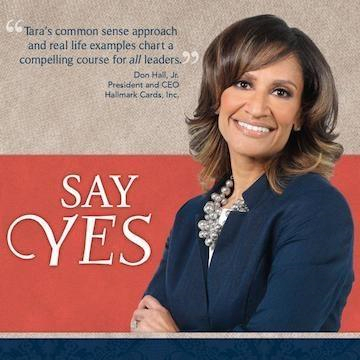 Strom Thurmond had a Black daughter he loved and cared for while he fought for segregation.